Fiddy never stops with his headline grabbing antics. 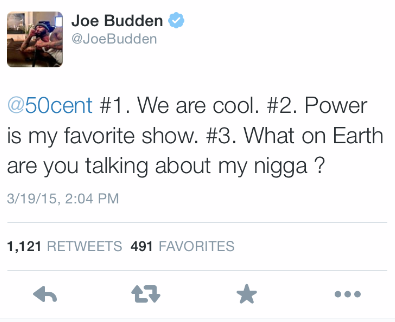 Recently much controversy has risen about 50 Cent‘s Power. 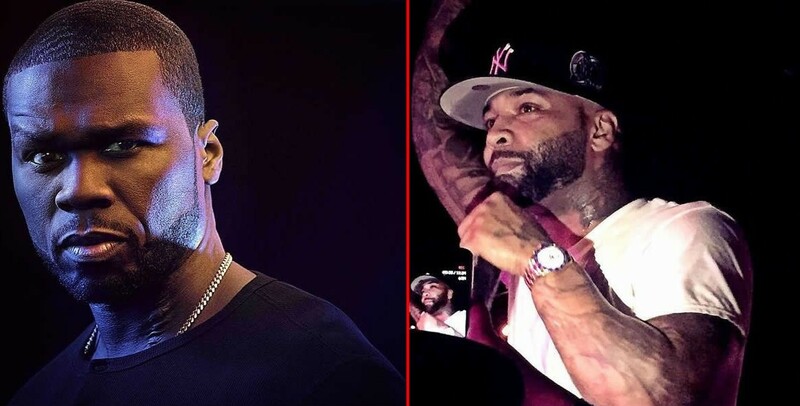 After a new promotional trailer made a play on words at the expense of Fox’s Empire, many people joked that 50 was being “petty” about it including Joe Budden. It took no time for Fiddy to come back at Joe and called him a “b*tch” before they settled the misunderstanding, thanks to an apology from the G-Unit founder. This is freaking hilarious. 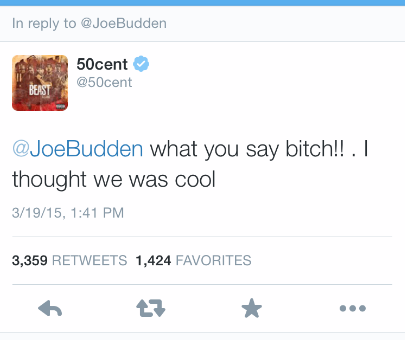 50 always coming for someone about his petty acts! He knows exactly what he’s doing to keep up the hype about the Power premiere. It’s all good because we all know with all this controversy. we are still watching that show. 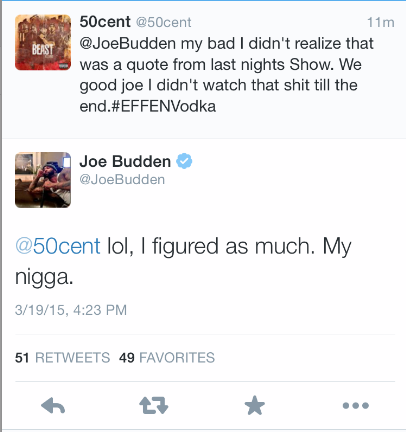 But 50 needs to take a seat, you tryna come after everyone, but you can’t fight the world! !